added alongside hotels, cottages, restaurants, and other businesses. 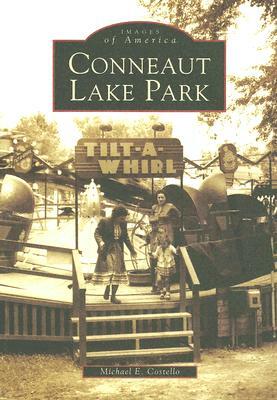 The resort grew into an amusement park and was renamed Conneaut Lake Park in 1920. Conneaut Lake Park illustrates the evolution of this lakeside resort with images of long-gone attractions such as the Hotel Elmwood, Temple of Music, Jungle Cruise, Fairyland Forest, and Wild Mouse. Recent favorites such as the Blue Streak, Tumble Bug, Ultimate Trip, and Devil's Den are also included.